Microsoft has released an online troubleshooting tool to help you resolve your Windows Update errors if you’re running Windows 10, Windows 8.1, or Windows 7. If you’re running Windows 8, it is recommended that you upgrade to at least Windows 8.1. The online tool also doesn’t support Windows Server editions yet, such as Windows Server 2016, Windows Server 2012 R2, or Windows Server 2008 R2. Only time will tell if server support will be added in the future. 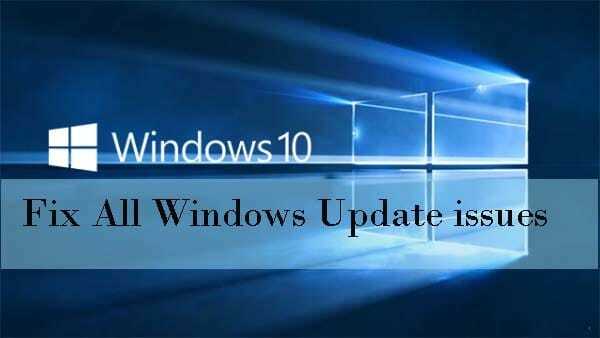 The online tool lists some common Windows Update errors such as 0x80073712, 0x800705B4, 0x80004005, 0x8024402F, 0x80070002, 0x80070643, 0x80070003, 0x8024200B, 0x80070422, 0x80070020, but the site does say that the tool should help resolve all Windows Update errors, not just the ones listed. Most of the troubleshooting begins with you downloading the Windows Update Troubleshooter. If the troubleshooter cannot find and resolve your issues, then the next steps usually have you run some common DISM command line scripts or System File Checker (SFC). Finally, if all else fails, they’ll offer you the steps to refresh, reset, or restore your Windows installation.